Triborn, even though still in Beta, is an amazing RPG, with a great community and admin. 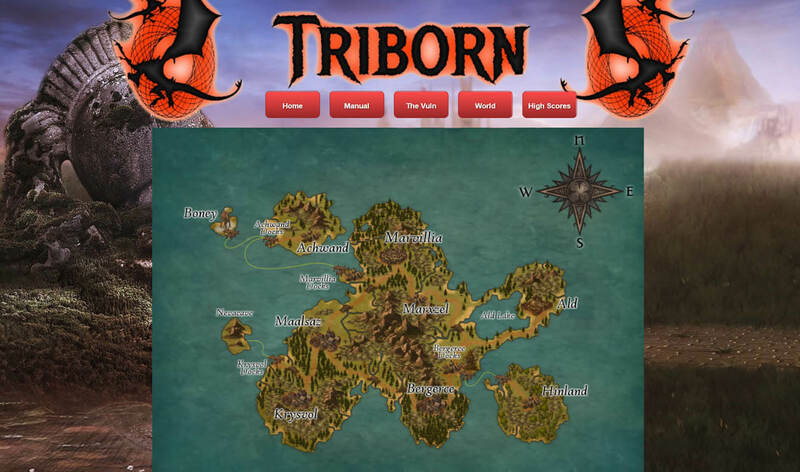 With almost daily updates, Triborn is sure to keep you entertained all day. A must for all. A very enjoyable game, with so many skills to choose from. You could never get bored. A great community of players and support from Staff. Definitely a game worthy of the time of people who enjoy this game style. A solid 5 out of 5 from me. Updates on a Weekly if not Daily Basis. Great Admin, lots of good and helpful players. One of the best games of its kind that I have played. This is a great little game with a fun and welcoming community! Early Beta RPG. And I agree with the other Comments, this game is gonna be great fun as it grows. Early development, text based RPG, wonderful Admin and minds going into its development and work, definetly one to get in on early or keep an eye on as it develops. The game is in very early beta but the devs are hard at work at crafting a worthy persistent browser game and they continually interact with players to get feedback throughout the day. Keep an eye out for this game as it grows.